An online petition has been created calling for Princess Leia of the Star Wars franchise to be officially crowned as a Disney Princess following the untimely passing of Carrie Fisher on December 27, 2016. 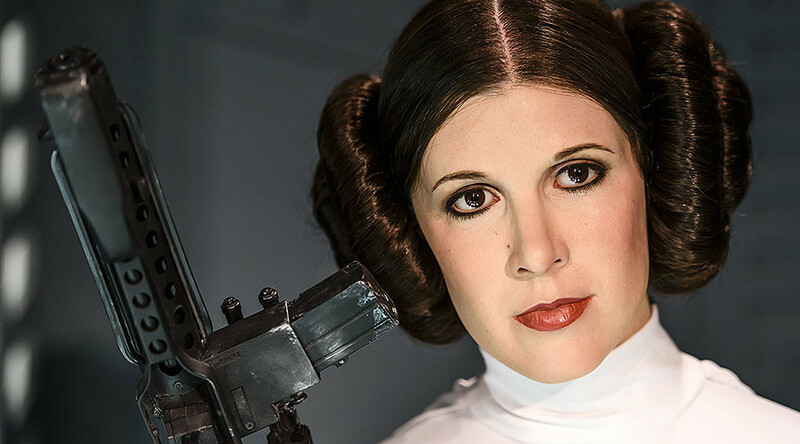 “What we are asking is that the Walt Disney Corporation hold a full ceremony inducting Leia as the newest Disney princess as well as a special service in memory of Carrie Fisher,” Cody Christensen wrote on his Change.org petition. “I think that Leia is a really strong, positive, awesome role model for my girls, and she would make a great addition,” Christensen told Geek.com, referring to his five daughters. Disney bought Lucasfilm, the original creators of the franchise and owners of the rights to Princess Leia’s image, in 2012 for $4 billion. The princess has been a much-beloved fan favorite for the last four decades since Star Wars first hit the big screen in 1977 with many considering her a role model for young women. Fisher herself possessed many of the character’s more feisty personality traits, as evidenced by her quick wit and brutal honesty online and in public. “Youth & beauty R NOT ACCOMPLISHMENTS, they’re the TEMPORARY happy Biproducts of Time or DNA. Don’t hold your Breath 4 either,” Fisher tweeted in December 2015. Leia is more than a princess. While Leia would be a rather atypical princess by Disney’s traditional standards, the company has published their new principles for modern princesses which are aimed at being more in line with contemporary feminist values. Precedent has already been set for non-original Disney characters to be inducted into the Disney Princess lineup with the character Merida from Pixar’s ‘Brave’ now officially crowned. The petition, which currently has over 86,000 signatures, will be sent to Disney CEO Bob Iger once the target of 150,000 signatures has been hit.